The annual Texas Highways Wildflower Issue is out and I have the cover photo of a bluebonnet from Cedar Hill State Park here in Dallas County! 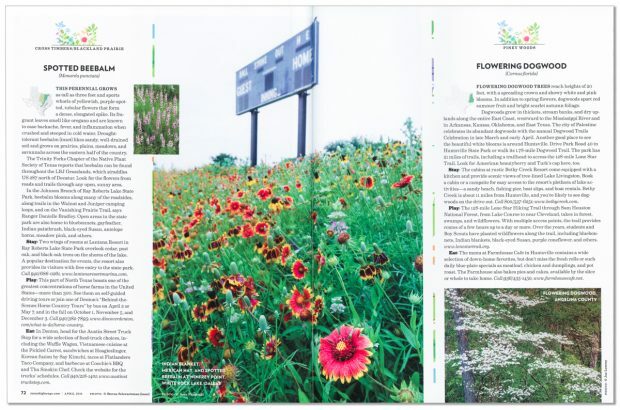 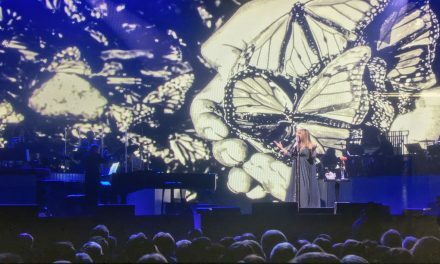 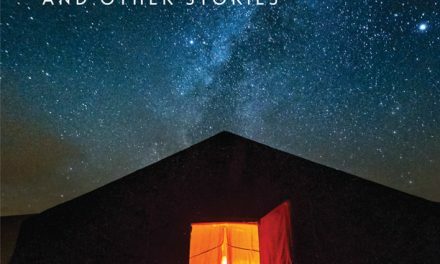 I also have a full page image of a narrowleaf coneflower from the Texas Nature Conservancy’s Clymer Meadow Preserve in the Backland Prairie, a double page spread of bluebonnets from Big Bend National Park, a full page image of wildflowers in the prairie remnant at White Rock Lake in Dallas, and a white sphinx month in a wildflower field near Ennis. 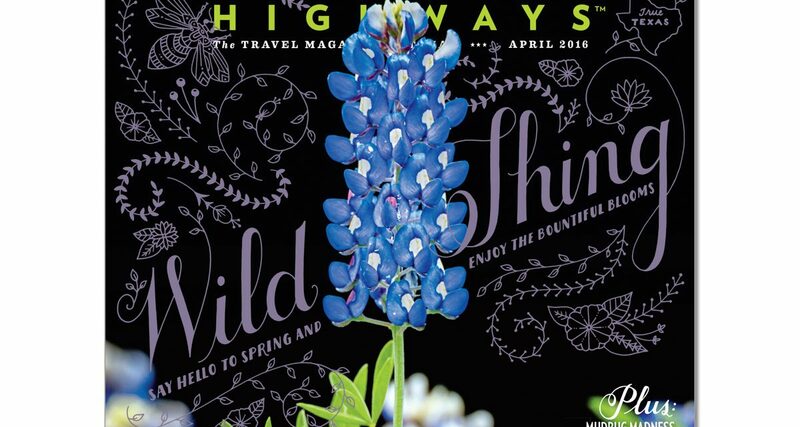 Texas Highways is such an awesome magazine and I love whenever I am in it, but being in the wildflower issue is a special thrill! 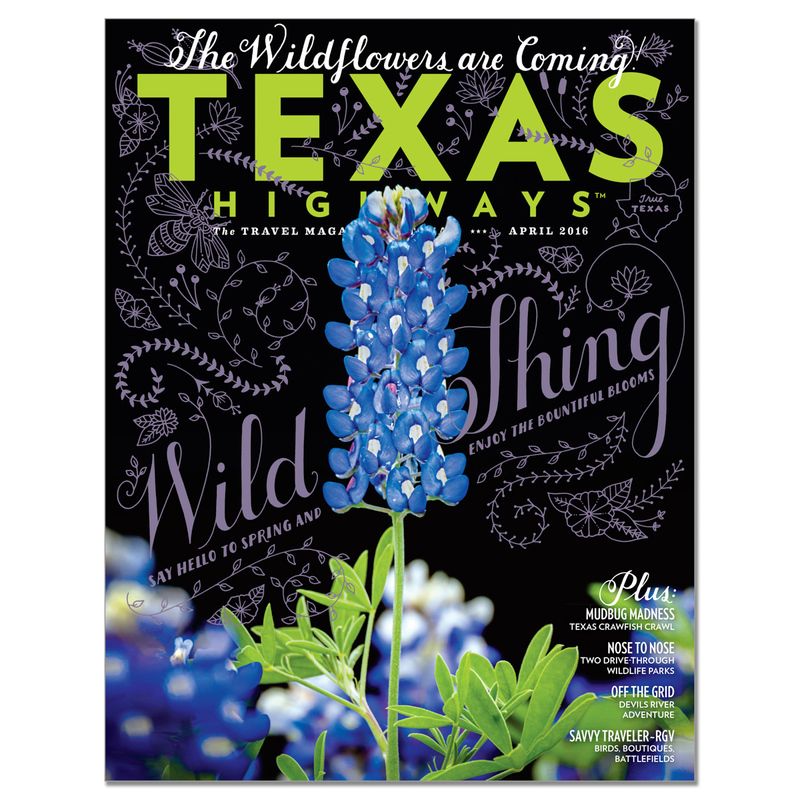 Cover of Texas Highways magazine, April 2016, with image by Sean Fitzgerald. 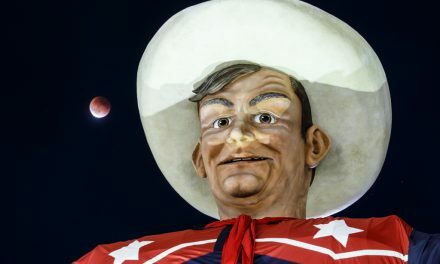 Bluebonnets, Cedar Hill State Park, Texas, USA. 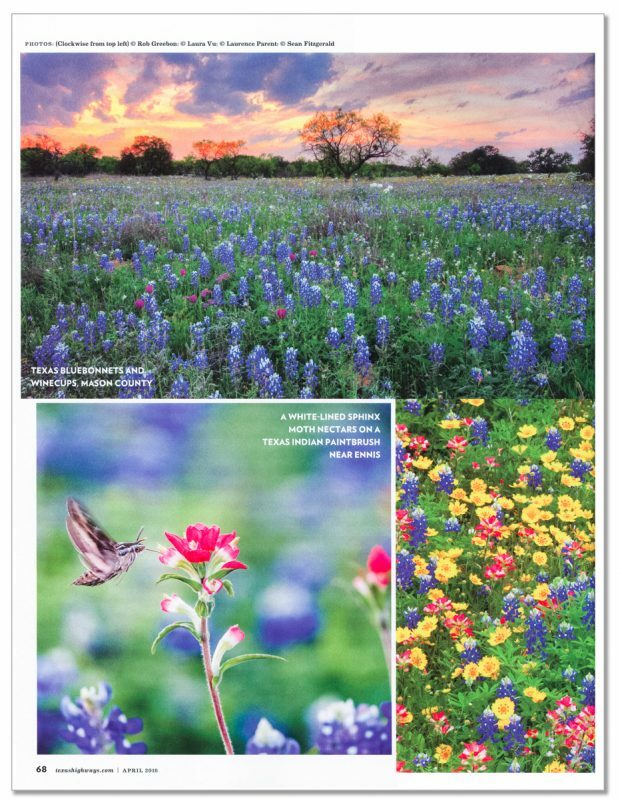 Two page spread in April 2016 issue of Texas Highways magazine. 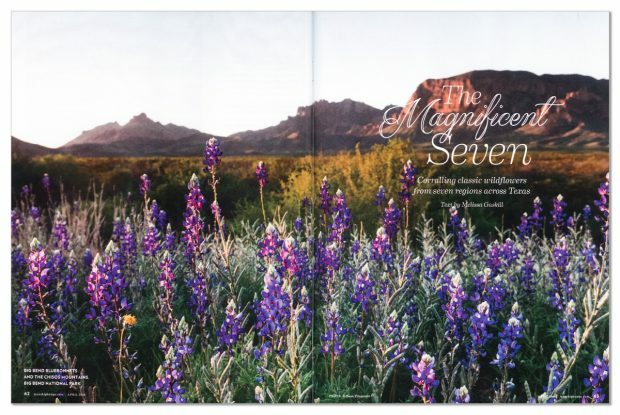 Image is Big Bend bluebonnets and the Chisos Mountains, Big Bend National Park, Texas, USA by Sean Fitzgerald. 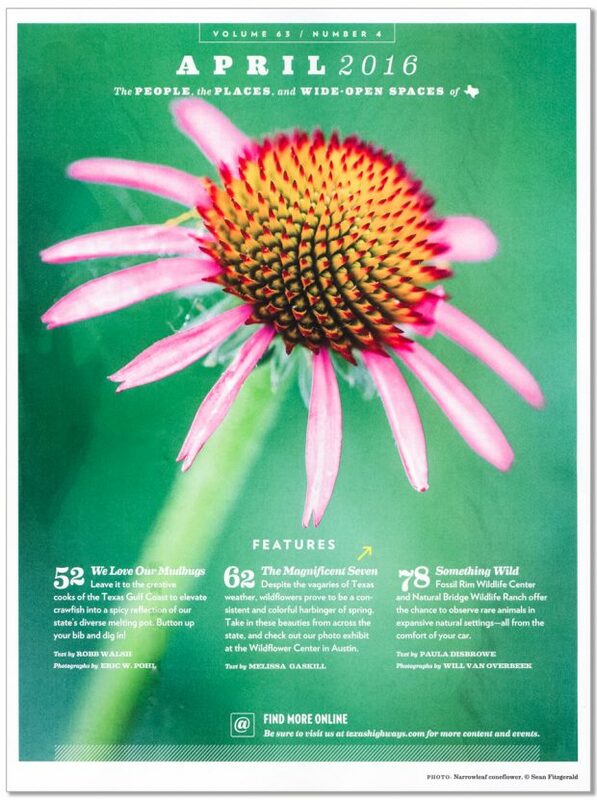 Full page image in April 2016 Issue of Texas Highways of Purple coneflower (Echinacea angustifolia DC) from Blackland Prairie at Clymer Meadow Preserve, Texas Nature Conservancy, Greenville, Texas, USA.